Quality control samples like this would be sent back to Kenner from their vendors in the Orient so that they could be reviewed by the toy company. An engineer in charge of the line would typically have to sign off on the product, as well as make suggestions for improving it. 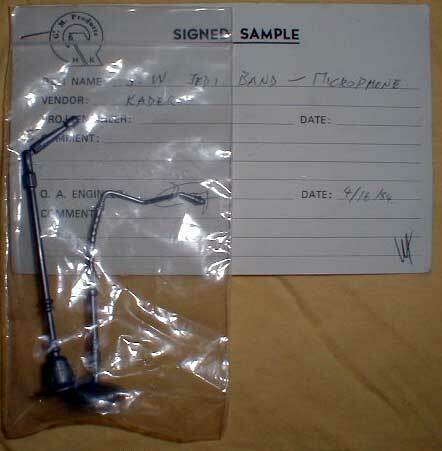 This sample concerns the three small accessories that came with the Rebo Band set of figures.